Our solutions may be broad, but the depth of our experience as individuals and as a team is equally impressive. That’s the value we offer clients – our ability to address a range of needs with unmatched expertise. For whatever challenges you may have in electrical engineering, architectural lighting design, carbon + renewables, or information + communications technology, we will find a solution that works for you. Electrical engineering is the bread and butter of our business. From large design-build projects to tenant improvement projects, we produce designs that consider efficiency, flexibility, redundancy, and maintainability alongside sustainability and cost. 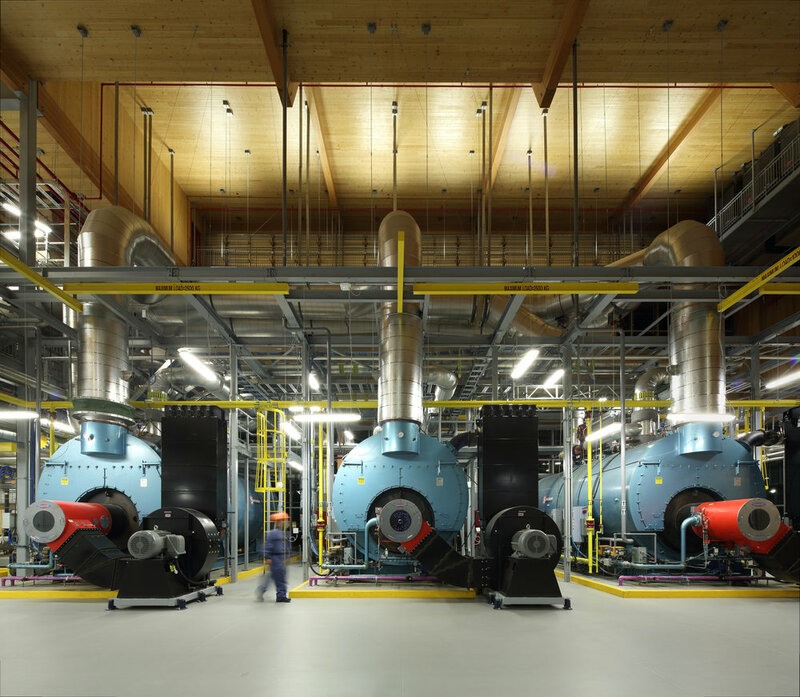 Robust electrical systems should lower maintenance and materials costs, reduce energy expenses, and minimize a facility’s carbon footprint over its lifespan. Sustainability makes sense for the environment, and in many cases, for clients financially. We are experienced in the design of renewable power generation systems, including wind energy and solar photovoltaic (PV) cells. Many of our electrical designs go beyond the objective of efficiency to meet the demanding requirements of NetZero Energy, NetZero Carbon, and the Living Building Challenge. Our design methods reflect our belief in looking holistically at a building’s design and working closely with all project team members to produce a building that is truly sustainable. Prior to installation, we will assess the site and load (in conjunction with a structural engineer) and provide our clients with a detailed feasibility study outlining design and operational requirements, including the payback period. We can provide both grid-tied and off-grid systems (with battery storage). The importance of lighting on both the aesthetic and practical use of a space cannot be overstated. Lighting is what amplifies color, form, and the materials in a space. When carefully implemented, the addition of light or shadow can create a powerful feeling that transforms the experience of a beautifully designed space. We have a highly skilled team of in-house talent consisting of visualization specialists, lighting designers, and lighting artists to provide project execution services for architectural, commercial, and residential interiors and exteriors, as well as landscape and public realm built environments. Our solutions enhance architectural details, create the desired aesthetic mood, and enhance the functional aspects of facilities, while respecting budget limitations. 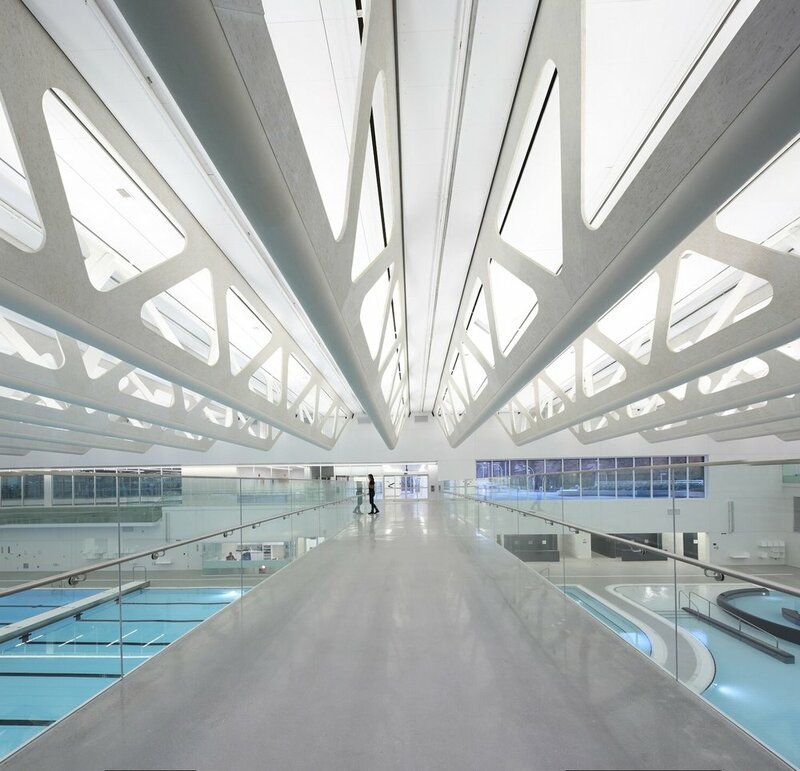 AES was honored to receive the 2016 Special Citation and 2015 Award of Excellence for Interior Lighting Design from the Illuminating Engineering Society of North America, a competition that brings together projects from all over the world. Our lighting practice is product agnostic and is supported by proof of concept, work experience, and our professional liability insurance. Our professional accreditation includes Certified lighting Designer (CLD) and International Association of Lighting Designers (IALD). We design to IESNA Recommended Practices, LEED, ASHRAE 90.1, International Dark Sky Association, and WELL Building Standard. Our services encompass all phases of the design process from Schematic Design, Design Development, Construction Documents, and Bidding, to Construction Administration. Connecting your people and data. In a digital world, connectivity is mission critical, and IoT (Internet of Things) is transforming the way we live and work. Our ICT Specialists can help you develop high performing, intelligent digital buildings that respond to user needs and preferences, increase efficiency, help reduce operating costs, and provide better data for decision making. ICT includes the complete wired and wireless environment (structured cabling and network infrastructure) such as physical security, audio visual systems, paging lighting controls, building maintenance systems, telephones, active network data systems, and industry-specific specialty systems. The collection and integration of data from all of these systems was, until recently, siloed. By integrating data from various systems, we can now achieve deeper insights and a level of automation that was previously unavailable. MASTER SYSTEMS INTEGRATION + SMART BUILDINGS. Too often, today’s buildings are constructed using outdated methodology with yesterday’s technology. The control, maintenance, and optimization of all building systems have traditionally been siloed, with third-party vendors responsible for keeping system networks, such as video surveillance, lighting controls, metering, and HVAC, operational. These systems are frequently left without regular updates, exposing the building to security vulnerabilities. With a new approach and a coordinated team, we can simplify the maintenance and operation of these networks. Business as usual is changing. Through a Master Systems Integration (MSI) consultant, the design of your building will now be forward-thinking with cutting-edge technology. AES has the expertise to design a converged building network for your “Smart Buildings,” that allow for redundancy, simplified management, and increased cyber security. CONVERGED INFRASTRUCTURE – A Smart Building Network (SBN) consists of physical IT infrastructure, hardware, wireless access points, and network management software. These form a platform to connect and manage disparate base-building systems, sensors, and Internet of Things (IoT) devices in a unified way. UNIFIED COMMAND AND CONTROL DASHBOARD – This single-pane-of-glass dashboard enables building operators to effectively manage and control systems from a centralized location to optimize energy savings, improve tenant experiences, and streamline maintenance. MIDDLEWARE INTEGRATION – Middleware Integration is an Integrated Building Management Platform (IBMP) that provides an open, vendor-agnostic software platform for gathering, managing, and trending data from multiple base-building systems. These integrations provide universal access to all levels of property management. From C-level executives to the operation of a single fan coil for maintenance technicians, everyone can access a bird’s-eye view of your real estate profile. TENANT INTEGRATION – Converged networks enhance tenant leasing agreements by permitting specific, owner-approved devices to be integrated into the smart building network. This streamlines tenant improvements, allowing for direct integration of these devices into the base-building systems. Whether it is an office tower, educational facility, mixed-use facility, or others, with AES as your MSI consultant, our smart building team will design your building to be sustainable, intuitive, and innovative for both owners and tenants. Together we can develop a Smart Building Master Plan to eliminate vendor silos, reduce duplication of infrastructure, simplify the management of base-building systems, and provide a secure foundation for evolving IoT applications throughout your building. Smart buildings are the buildings of tomorrow, and AES is designing them today. At AES. we are passionate not only about our specialized engineering, design, and technology services, but also about the comprehensive, overall process of building construction and design. We are committed to ensuring a finished project that is successful, fully operational, and that fulfills the design intent. Commissioning plays a critical role in documenting and verifying that building systems and system operations will function according to the owner’s requirements. AES is uniquely equipped to deliver this through our deep and varied project experience and expertise in commissioning. AES has a depth of experience providing commissioning services on projects within multiple sectors, including education, government, and military, among others. We have licensed electricians on staff who have experience in the installation and commissioning of systems. Furthermore, several of our engineers are also licensed electricians with specific experience in the testing and commissioning of major electrical systems and equipment. Developing a detailed understanding of the owner’s requirements, which includes establishing the commissioning criteria and creating thorough documents, including checklists. Reviewing these documents with the client to ensure that all equipment is included and all code requirements and manufacturers’ recommendations for commissioning are addressed. Customizing our commissioning package to meet these requirements, including thorough documentation of any decisions that modify these requirements throughout the design process. Our staff are thorough, detailed, and accurate, and our clients trust that our work will ensure the highest level of building quality, efficiency, health, and safety. We are proud to offer these services and are committed to our clients’ projects from the start to the end of construction, and beyond. Working with AES as your electrical commissioning team will ensure the success, efficiency, and safety of your project.